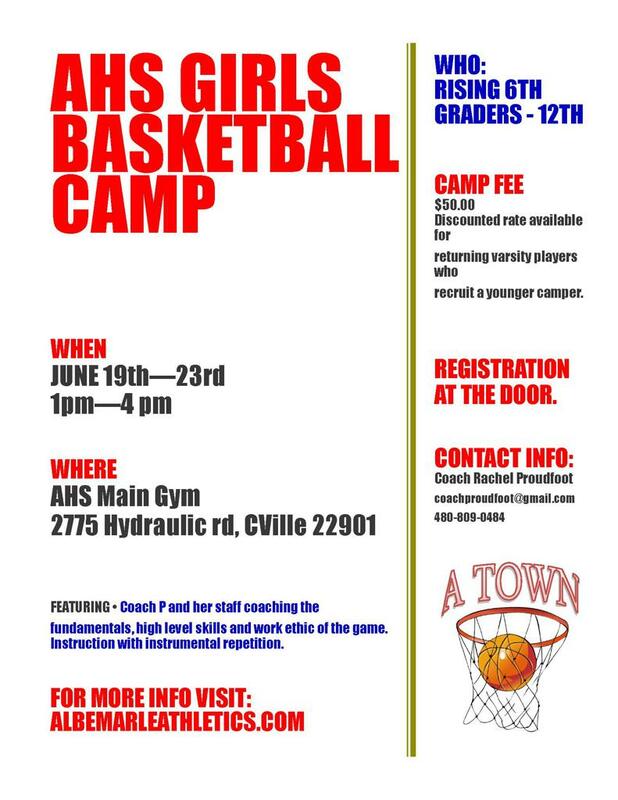 The Albemarle High School Girls Basketball coaching staff is hosting their summer camp this June for rising 6th-12th graders. Coach Rachel Proudfoot and her staff will be instructing on the fundamentals, high level skills and work ethic of the game. Instruction with instrumental repetition. Registration will be accepted at the door. Camp fee is $50. A discounted rate for returning varsity players who recruit a younger camper. For more info, visit albemarleathletics.com, or see the camp flier below!